This is probably impossible to follow through completely, but I’ll give it my best shot. I’m not a huge fan of the anime, and I didn’t watch all of it, but I do remember a good chunk of it and for everything else, there’s google. 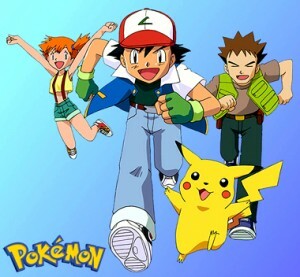 In any case, the idea is to catch and use only the Pokemon which Ash used in the anime and to do it as close to the proper points in the story as possible. This means Pikachu will be my main hitter and he will never evolve. It also means I’ll start with Pokemon Yellow, since that one follows the story of the anime the most faithfully. It also means I’ll have a lot of trouble with most of the gyms in the game, since apparently, Ash is the worst Pokemon trainer ever. Lucky for me, I’ll be playing on an emulator, so I’ll have access to the fast forward feature for some quick and relatively painless grinding. Since the anime has seasons, and the game series has generations, it’s actually possible to follow the story that way to, to a degree. While there are some emulators which allow transfers of Pokemon between games and possibly even between systems, It probably won’t be possible to always do this, so I’ll have to use cheats to recreate what I have between games. In any case, I’ll switch my main party based on the game I’m playing and I’ll store the Pokemon I’m not using any more at my PC, instead of leaving them with Professor Oak. I’ll allow myself some liberties here, just as with the previous rule, but I’ll try to be as faithful as I can. Well, that’s actually it. These two rules give me plenty of things to be careful about during my playtroughs. As usual, I probably won’t complete this challenge any time soon, and I might even abandon it at some point, but for now, I hope it will be interesting for both myself and the readers. You’ll be able to find links to the individual games here.